Please complete the following questions to request a Free Consultation. Thank you for attending Brad's webinar, Understanding Practice Valuations. Are you ready for a Practice Appraisal? 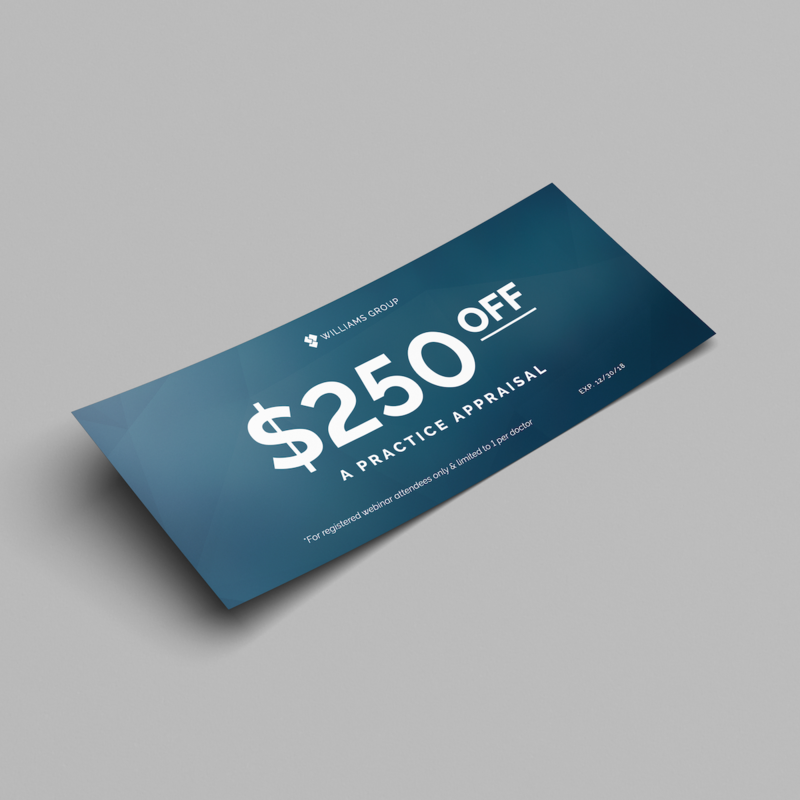 If you are interested in taking advantage of the special webinar offer*, $250 off a Practice Appraisal, fill out the form below to set up an initial consultation with one of our Practice Transition experts.